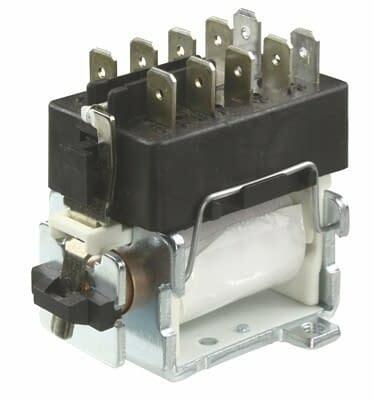 Contactor with 3 N/O contacts and a N/C make contact, coil voltage Uc=400V. 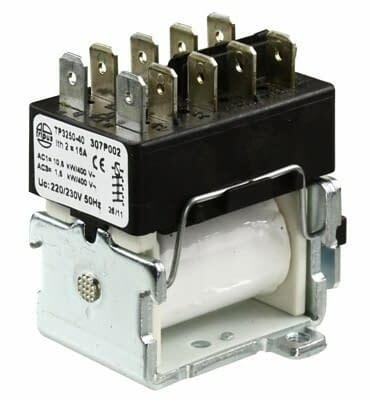 Usable for example in three-phase motor switches with braking electronics. Be aware when replacing an Eichhoff E3250 or Kedu JD2-Contactors of the coil voltage Uc and the switching functions (N/O, N/C). A replacement Kedu JD2 with an additional contact (auxiliary contact connected on the other side) is not possible with this contactor..